This paper addresses the role of voluntary environmental initiatives by the tourism industry to alleviate social dilemmas for the management of natural resources. The objective is to explore whether previous findings on the determinants of voluntary action in the management of common-pool resources (CPR) also apply to a sector, such as tourism, where non-extractive uses are dominant. The paper applies the social-ecological systems framework recently developed by Ostrom (Science, 325, 419–422, 2009) to analyze qualitative data from meta-analyses of successful voluntary environmental initiatives in tourism. 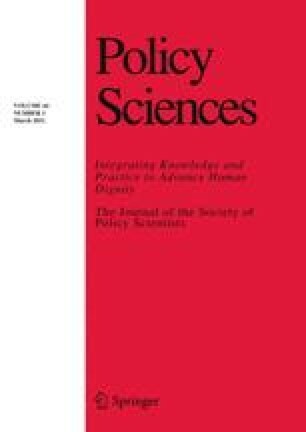 Results show that the determinants of voluntary action in tourism are partially consistent with previous research on CPR, finding relevant the presence of leadership, norms of behavior among members of the voluntary initiatives, shared mental modes, salience of the resource for users, and substantial productivity of the resource system in the likelihood of self-organization. However, other variables that have been shown to be relevant in non-tourism CPR situations are not supported by this analysis, such as: most variables regarding the ecological system (its size, predictability, and the mobility of its derived resource units) as well as the number of users and supportive collective choice rules that enable users to craft and enforce some of their own rules. The implications of this partial mismatch in findings are not straightforward. The paper presents a set of research questions that open a path for further research. I am grateful to Xavier Basurto, Javier Lozano, Javier Rey-Maquieira, Elinor Ostrom and Sergio Villamayor for comments of previous drafts. All errors remain my own. I am also grateful to the Nordland Research Institute and the University of the Balearic Islands, where I wrote most of this paper. Laney, L. O. (2009). Assessing tourism’s dontribution to the Hawaii economy. Economic forecast—Special report. Resource document. First Hawaiian Bank. https://www.fhb.com/pdf/FHB_Tourism_Study_09325.pdf. Accessed 30 May 2010.